Using marketing analytics is essential to being able to judge the performance of your marketing efforts. They allow you to see what is and isn’t working in real time, thereby letting you adjust your strategy. Not only do marketing analytics help improve your marketing efforts, but they also allow you to make much more efficient use out of the resources that you have at your disposal so that you don’t end up wasting a significant amount of time and money on tactics that aren’t working. 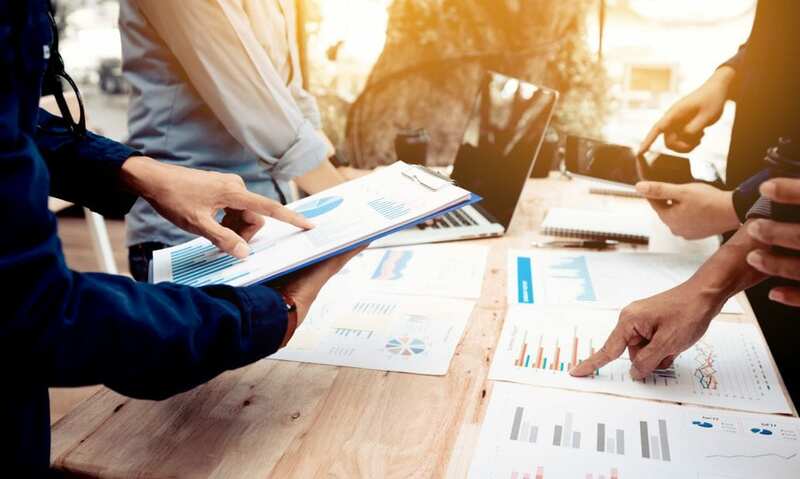 Analytics should not be a mere complimentary tactic to your marketing strategy that allows you to see how you’re doing — it should be an important part of the marketing decision making process. Once you begin using analytics, you should use the data you’ve gathered from previous campaigns to help inform future campaigns and strategies. Marketing analytics can help provide you with incredible insight into your customers, thereby providing all kinds of opportunity for growth. The challenge is in collecting data from a wide range of data points. The reason that this is a challenge is that there are often barriers between marketing, operations, and sales data. 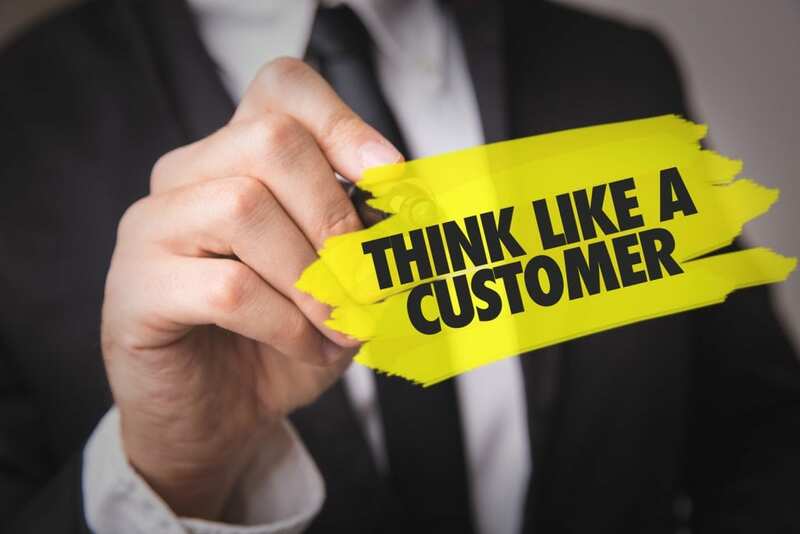 If you can gather and analyze data from all three of these facets of your business, you’ll be able to get a more complete picture of your customer, thereby allowing you to form a much more effective marketing strategy. 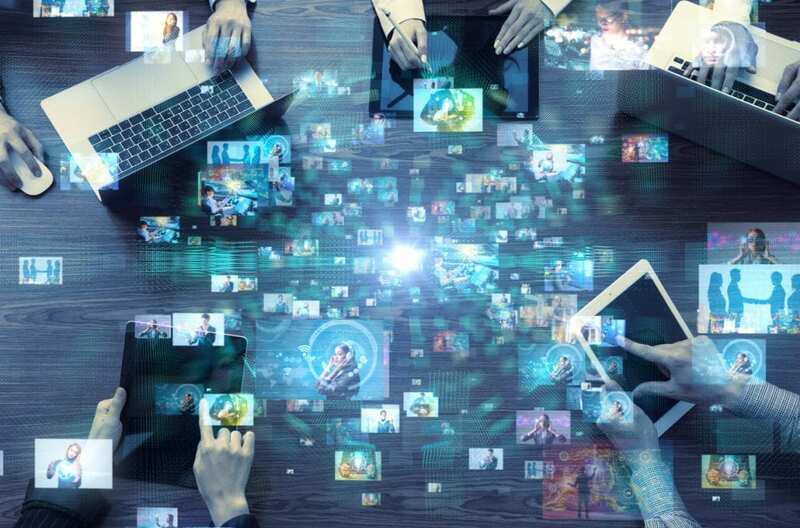 Marketing analytics is unique in that it requires analytical thinking to read and understand the data, but it also requires creativity to put that data to use in actionable steps. 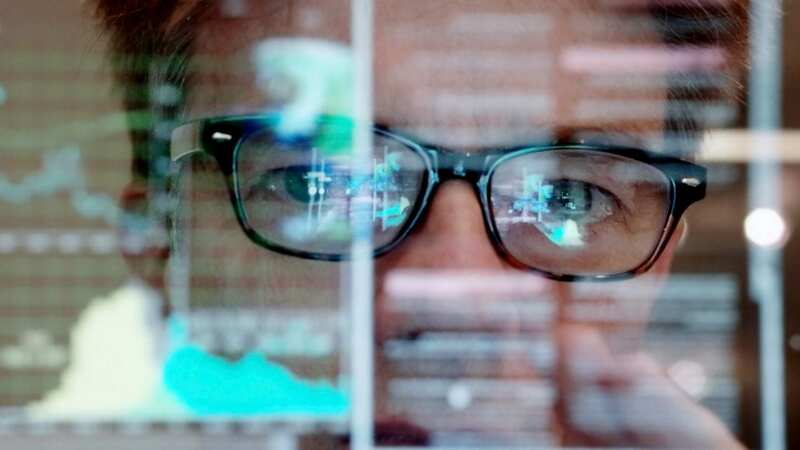 You’ll want to focus on developing and hiring talent that understands both the science of analytics and the art of analytics, which is no easy feat. However, having such individuals on your team will help you get the absolute most out of your marketing analytics. 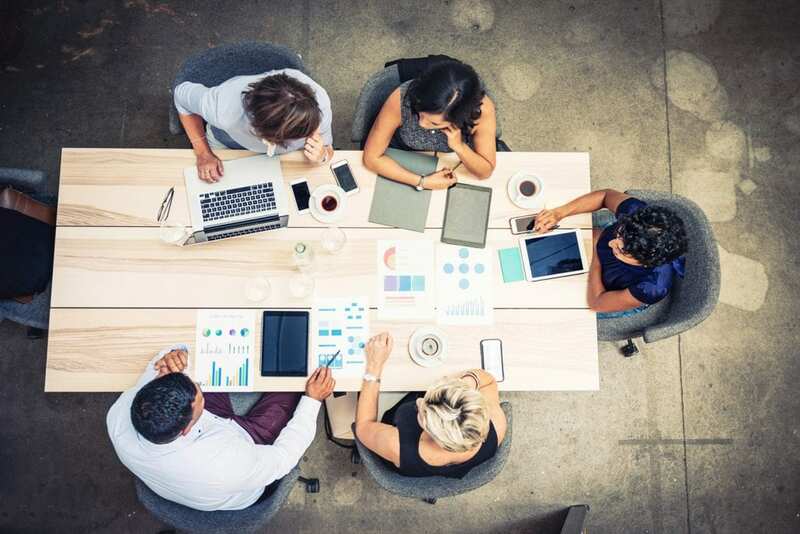 If you’re going to embed your marketing analytics dashboard into your company’s marketing decision-making process, then it’s important that you organize its operating model to reflect how decisions are made. For example, if your company makes your marketing decisions by brand, then you might want to think about dedicating analytics resources to your brand managers. One of the common traps companies fall into is using their analytics to adjust their marketing tactics on current strategies. 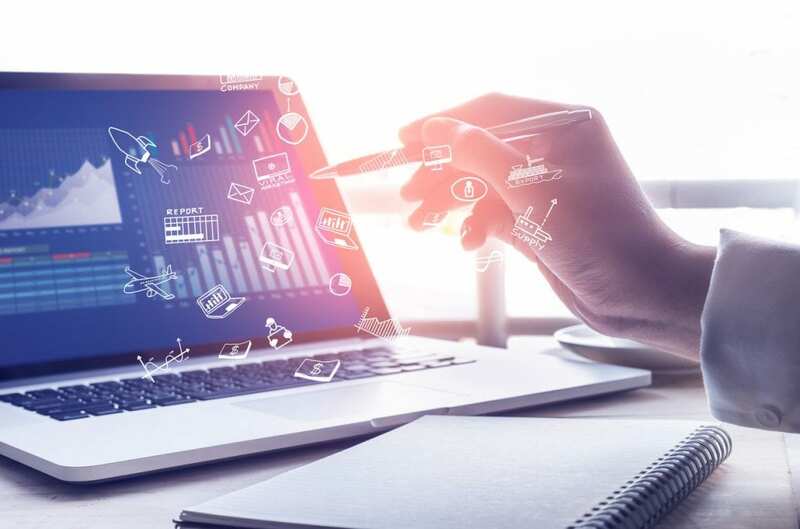 While you should certainly do this, you should also leverage certain marketing analytics, such as data mining and predictive analytics, to find new opportunities, such as new marketing strategies, new business models, new markets, and more. The use of analytics allows you to analyze and measure data at any time, but knowing when to act on that data you have can be tricky. There’s the temptation to want to wait until you can measure everything and obtain more data before making key decisions. Waiting too long can cause you to miss out on potential opportunities. On the other hand, constantly acting on the data you have can be a serious mistake as well — some strategies do take time before you’ll begin seeing results. As you know, using analytics will help you get the most out of your marketing strategy. 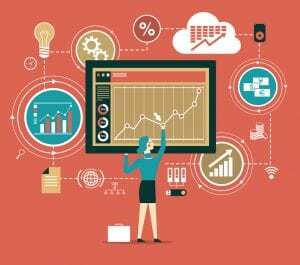 These are six tips that will help you get even more out of your marketing analytics dashboard as you move forward. President of Stevens & Tate Marketing, Dan Gartlan will be presenting at this year’s AHCA/NCAL 2019 Conference in Orlando, FL. The presentation is titled “Four Actionable Strategies to Improve Marketing Results”. Walk away with an understanding about the fundamentals of four marketing strategies and the value of using these together. Participants can expect a high involvement experience with worksheets and hands on exercise to help further refine their abilities. Relevant examples also help to demonstrate how to improve each strategy and identify the essential elements that can effect an organization’s results. Learn more about Stevens & Tate Marketing’s Speaking Services today. Nicole Wagner will be representing Stevens & Tate for the first time at the IHCA/ICAL Conference & Expo in Illinois this September. The session is titled “Congratulations! You’ve Launched a New Website- Now What?” Your website is essential to attracting new prospects and for providing valuable and relevant information to decision makers. However, if it does not perform then you are not going to end up getting the ROI that you should. And just because you’ve recently launched your website doesn’t mean that you can’t continue to improve it over time. This presentation will discuss key website elements to focus your improvement efforts on. To learn more about the event, click here! For more about Stevens & Tate Marketing’s Speaking Services, click here! Another awesome recognition! We are incredibly proud to announce that Stevens & Tate has been recognized as a Top Digital Marketing Company of 2019 on Design Rush! At Stevens & Tate Marketing, our primary focus is on impacting businesses and finding marketing solutions for our clients. Thus, our agency aims to help businesses solve their problems through our premium quality services and marketing programs. With our team of 14 experts, we’ve successfully delivered consistent results to our clients through our focus on branding, web design, and content marketing. Our strong digital marketing capabilities that include search engine optimization, email programming, video concept and promotion, and much more are just a few of the reasons why we can continue to be awarded by renowned marketplaces such as Design Rush. In fact, this isn’t Stevens & Tate’s first recognition from Design Rush, as we were also named a Top Integrated Marketing Company by their team of experts this year as well! Being named a top digital marketing company by Design Rush is no small feat. As a B2B Marketplace that aims to connect brands with agencies, Design Rush is the ultimate guide for finding the best professional agencies who will understand your goals, adapt to your brand, and work effectively as a team with your business. 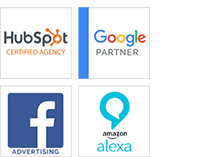 More specifically, they specialize in discovering the top full-service ad agencies, web design companies, digital marketing firms, and leading technology companies. In order to make this list, agencies are required to demonstrate a proven ability to provide a strong return on investment for long-term business growth, as well as improve a client’s digital footprint. 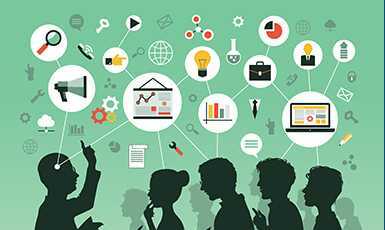 Moreover, it’s essential for agencies to have the resources, skills, and top-notch marketers that enable them to accomplish these goals. With these points in mind, it’s no wonder why only the very best agencies are included on this list, which makes us all the more proud to receive this recognition. We recognize that none of the recognition we have received recently, whether from Clutch, Top Digital, or Design Rush, would be possible without the powerful relationships we’ve built with our clients. As we’ve long said before, their success is our success. This is why we will always commit to maintaining a high standard of excellence to ensure we provide the best quality service possible. We owe a huge “thank you!” to these clients, as well as our hardworking team for continuing to make Stevens & Tate Marketing the strong force it is. Cheers to a great 2019 so far and an even brighter future ahead! Brand Leveraging is quickly becoming more common as it becomes harder for messages to break through the clutter. This marketing strategy uses the power of an existing brand to support a company’s entry into a new but related product category by communicating valuable product information to the consumer. Utilizing recognizable visual stimuli, familiar voice endorsements, and popular songs can help you establish credibility, add emotion, and further draw in a potential customer- and more and more companies are jumping on the bandwagon. Combining your product with recognizable TV and movie characters has much more of an impact on your customers than presenting your product by itself. 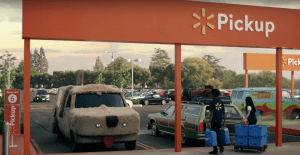 For example, In Walmart’s recent commercial the owners of notoriously famous cars use their Grocery Pickup service in preparation for Super Bowl LIII. As Gary Numan’s futuristic song “Cars” plays in the background, drivers race to Walmart in iconic vehicles, including the “Ghostbusters” car, Lightning McQueen from “Cars,” Batman’s Batmobile, the “Dumb and Dumber” dog car, KITT from “Knight Rider”, Scooby Doo’s Mystery Machine, the “Back to the Future” DeLorean, and even Cinderella’s pumpkin carriage. For each vehicle, Walmart employees help load up the cars with groceries, but they encounter a couple problems with familiar ghosts and ravenous dinosaurs along the way. This is an ad that can be recognized by every generation, there is something for everyone. 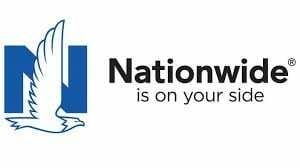 Walmart’s U.S. Chief Marketing Officer Barbara Messing said in a statement on the store’s website that this ad is the “biggest and first-ever cross-platform national marketing campaign for Walmart Grocery Pickup. When a celebrity endorses a certain product, you can’t always see their face. Sometimes the only thing you can recognize is their voice. However, this still has a powerful effect on potential customers. If you’ve ever watched a television commercial and felt for sure that you knew the voice-over artist from somewhere, chances are, you’re right. While you may not see him directly, John Hamm, known for his role as Don Draper in Mad Men, makes his voice known in various Mercedes Benz commercials. His soothing and yet serious voice is hard to miss, further drawing in the potential customer. It also leaves the viewer curious and perhaps wanting more, the mystery of a faceless celebrity seems to have an effect of intrigue on viewers. Though large brands are known for their products and services, it is often the experience they create that actually builds loyal consumers and brand advocates. And what better way to strengthen a brand’s customer experience than to incorporate music within their ads. It has the ability to evoke a wide range of emotions, tell a story, and can even reinforce the sale. This classic song is recognized by many generations and is easy to sing along to. It may even get stuck in the viewer’s head, which Toyota is definitely aiming for. It shows different people zooming off to various destinations in the 2018 model of the Toyota Camry, driving so fast that you can see it in their faces. 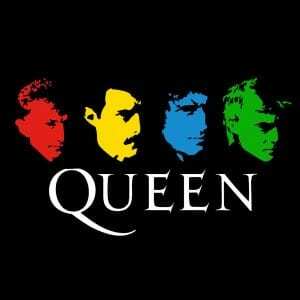 The timing of this song being utilized is also significant, as the Bohemian Rhapsody movie has been widely popular in recent months. With the anthem “don’t stop me now” repeating itself in the background, this song was chosen to add to the ad’s overall message – which is – driving the Camry makes you want to say “let’s go places”. This upbeat, positive song gets the attention of people of all ages, not just the young ones. Meghan Trainor’s music can be described as uplifting and wholesome, and Target was quick to incorporate her music in to their advertisement campaign. The commercial itself highlight Target’s drive up, order pick up, and same day delivery, exemplifying “all the ways” that Target can assist you. Whether it’s an original score, a popular song, or a catchy jingle, music is a brand’s leading tool to create an experience. 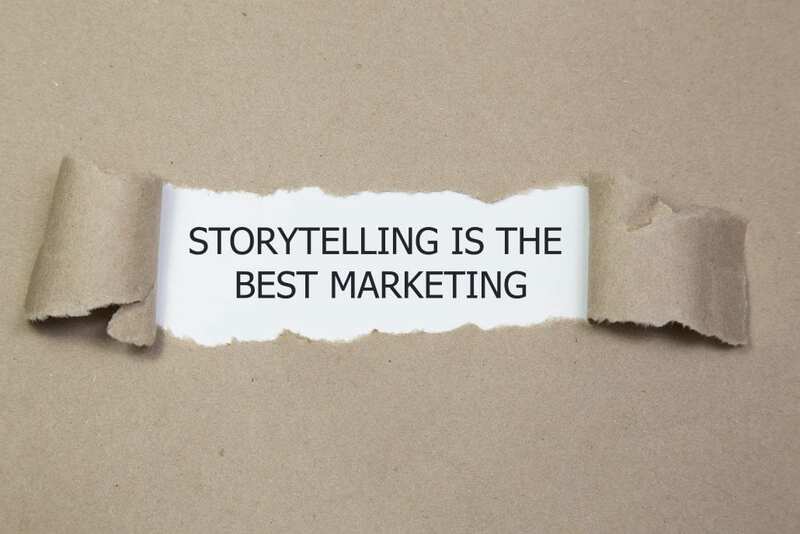 Storytelling is an essential way to connect or relate with audiences. One of the common challenges businesses face is finding a way to not only engage with their audience, but to connect on a personal level. Using storytelling to get your message across is one of the most effective ways to do this. In particular, you should focus on story branding. Story branding involves sharing information about your brand through the power of storytelling. For example, instead of just saying “our company provides the best product,” story branding would involve explaining why your company was established (to provide a service or product missing on the market), what your values and beliefs are, what your goals as a company are, and how you plan to accomplish those goals. This allows you to connect on a more emotional and relatable level. Position yourself as an authority within your industry by producing content that is relevant to your target audience and that is more helpful than promotional. 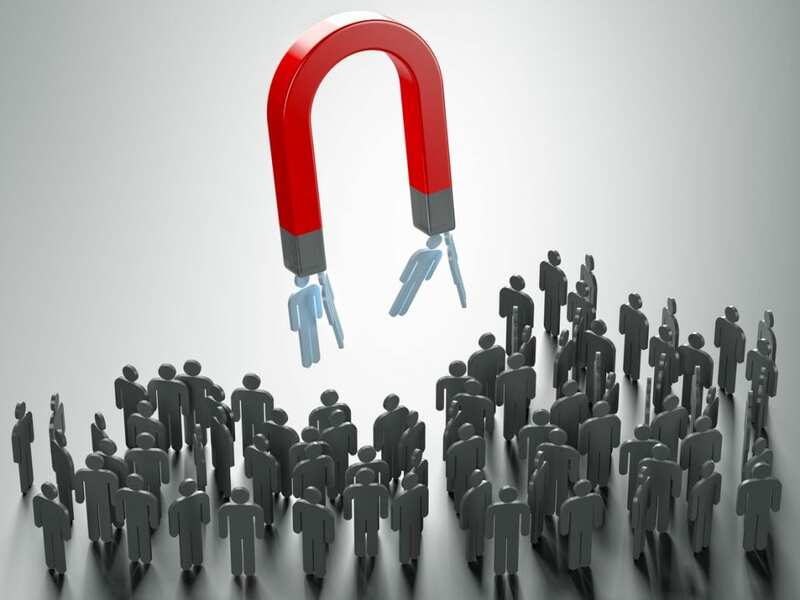 The stronger your thought leadership is, the more you’ll be trusted by potential leads. 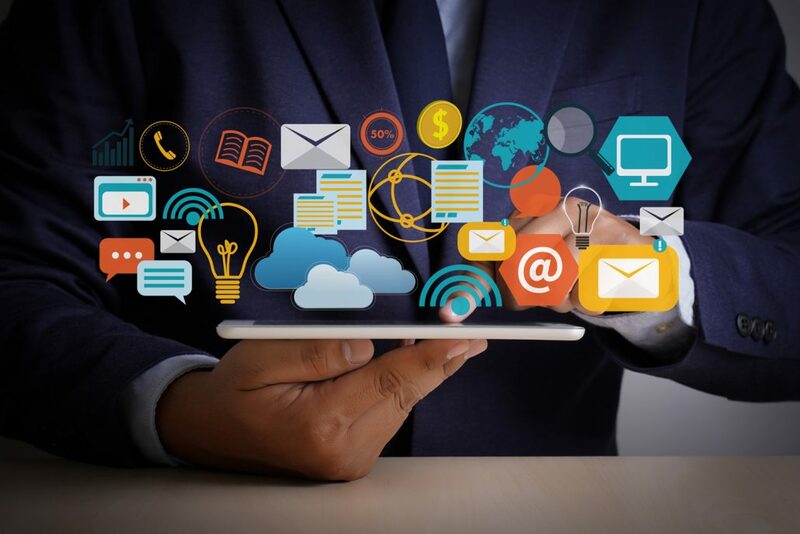 Not only can you strengthen thought leadership by regularly publishing high-quality content, you can also do so by regularly engaging with your audience on social media, answering questions or concerns that they have, contributing to group discussions, contributing to posts by followers or by other thought leaders, and more. Capturing a lead isn’t equivalent to closing a sale. You can’t just assume that they are ready to buy if they’ve given you their email address. You need to nurture the leads that you’ve captured until they are ready. A good way to get a lead to unsubscribe from your email list is to immediately send them promotional content pressuring them into purchasing something. Instead, send them more in-depth content based on their past level of engagement with your site (and the information they’ve provided in your opt-in form). The goal is to build a relationship so that by the time they do make a purchase, they’re more likely to stay loyal to your brand. Last, but not least, focus on customer service. Don’t just dismiss your leads once they turn into customers because you’re chasing the next sale. Increasing customer loyalty is important. The better their experience is (and continues to be) the more likely it is that they will stay loyal and even recommend your brand to friends and colleagues. The most effective way to implement inbound marketing into your marketing strategy is by focusing on this attraction marketing formula. Doing so will help you attract leads, connect with them on an emotional level, and build lasting relationships with them. Should You Consider A Growth Driven Design Strategy? In this day and age, every business understands the importance of having a company website. Even local mom and pop shops have a web presence, whether it’s a basic website or a social media page. However, not everyone realizes that there are different ways to build your website. If your website is the foundation for all of your online marketing efforts, then consider implementing a growth driven design. 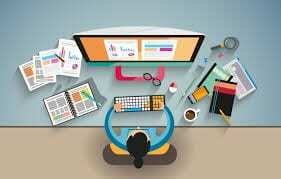 It is true that when properly implemented, traditional website designs can still be very effective. However, growth driven designs have their own set of unique advantages worth taking a look at. Traditional websites tend to be designed all at once. Meaning, once the website goes live, it’s finished–everything is complete. Growth driven design involves a more incremental process. It’s not completely finished once it launches. Instead, you continuously work on the website, implementing design elements based on data collected from visitors interacting with your site. This allows you to design your website from top to bottom based on buyer observations which, thereby, improve your web design over time. Additionally, it prevents design elements from growing stale and eliminates the risk of being stuck with poor design choices. Eliminate the need for massive overhauls – Traditional website designs often require complete redesigns after only a few years. Because a growth driven design requires that your website be regularly updated, major overhauls won’t be needed. Meet the needs of your users – While traditional website design certainly makes use of some data, a lot of the design elements will no doubt be based on the personal preferences of those in charge of designing the site. Likewise, they may use elements that a competitor has used to great effect. However, your site design will be more effective if it’s tailored to what your users want, not what you want (or what your competitors use). A growth driven design is a user-driven one. Launch your website quickly – It can take some time to launch a traditional website design. This is because once it’s launched, it’s done. Since a growth driven design requires consistent work on the website, it’s not expected to be finished once launched. This means that you can get it up and running much quicker. Support a goal-oriented strategy – Long-term marketing goals require constant work. Being able to consistently improve your website will make it easier to support the goals that you’ve established. Make better use of your resources – There are certain choices that you may have made with a traditional website design that you’ll just be stuck with until you do a redesign. This ends up being a waste of resources, whereas with a growth driven design, you can change what’s not working. Shift, pivot, or adjust on the fly – Not only does a growth driven design make it easy to make needed changes on the fly, it also makes it easy to change course should you shift in regards to your business goals or model. Strategy – Creating a strategy for a growth driven design is not that dissimilar than creating a traditional web design strategy. You’ll need to identify your goals and what you want your website to achieve. You should also perform extensive research so that you can make as many data-backed decisions as possible in the initial stages of your site design. Launch Pad – During this stage, you’ll launch a site that looks and performs better than what you have but that isn’t finalized. The launch pad is a foundation on which you’ll build your website. Start with creating a wish list that will help achieve your objectives. Narrow that list down to a list of priorities that need to be implemented from the start. Improvement – The third stage is never-ending–it’s the stage in which your launch pad site goes live, data collection on visitors begins, features are added, and improvements are made based on that data. One of the big advantages of choosing a growth driven design is the ability to continually adjust your website design based on how users are interacting with your site. This prevents your site from growing stale and makes it easier to meet the needs of your audience. While traditional web designs can still be effective, be sure to consider your website design options by looking into growth driven design as well. https://stevens-tate.com/wp-content/uploads/ATTRACT6345_InboundMarketing-1.jpg 230 385 Dan Gartlan https://stevens-tate.com/wp-content/uploads/STLogo-websml-biggerAM.png Dan Gartlan2019-04-11 00:00:002019-03-13 14:42:03Should You Consider A Growth Driven Design Strategy? At Stevens & Tate Marketing, we focus on impacting businesses and finding marketing solutions for our clients. Thus, our agency aims to help businesses solve their problems through our premium quality services and marketing programs. With our team of 14 experts, we’ve successfully delivered consistent results to our clients through our focus on branding, web design, and content marketing. In fact, our dedication and personal attention to our clients has led us to recently receive a recognition by Clutch! We are delighted to have been highlighted as one of the top marketing agencies on Clutch, specifically for creativity and design. As an independent B2B ratings and reviews research firm in Washington D.C., Clutch aims to connect the best developers, consultants, and agencies to business buyers. Every month, they identify leaders across several categories and locations. Their comprehensive criteria for selecting the top performing companies makes us all the more proud to be have received this recognition. In order to collect data to evaluate each firm, Clutch first interviews service providers’ former and current clients. Next, they conduct extensive industry data analysis. Based on their research, Stevens & Tate has obtained a 5-star overall rating! Our hard-work and dedication to client satisfaction has also gained us a presence on Clutch’s sister website, The Manifest. It is there that you can check out our company description and another notable projects, where we are also listed as one of the top ad agencies. We also have a presence on Visual Objects, a portfolio website. This is where our visual work is displayed, making this format a valuable resource because consumers rely heavily on images. Reviews are central to Clutch’s evaluation process, and continuously help Stevens & Tate Marketing improve our rank on the platform. With increased visibility on Clutch, we improve our online reputation and increase our potential for new partnerships. We’re excited to continue working with our clients to collect their honest feedback, and grow our agency with Clutch. Thank you to both for your continued support.